Bryan Logan/Business InsiderA Tesla Model 3 at the company’s retail store at Westfield Century City. Tesla delivered just 1,542 Model 3 vehicles during the final quarter of 2017. The company admits to a slower than expected production ramp up for the Model 3. But it still expects to produce 2,500 Model 3 vehicles per week by the first quarter of 2018. Tesla is still having trouble filling its more than 400,000 pre-orders for the Model 3 electric sedan. 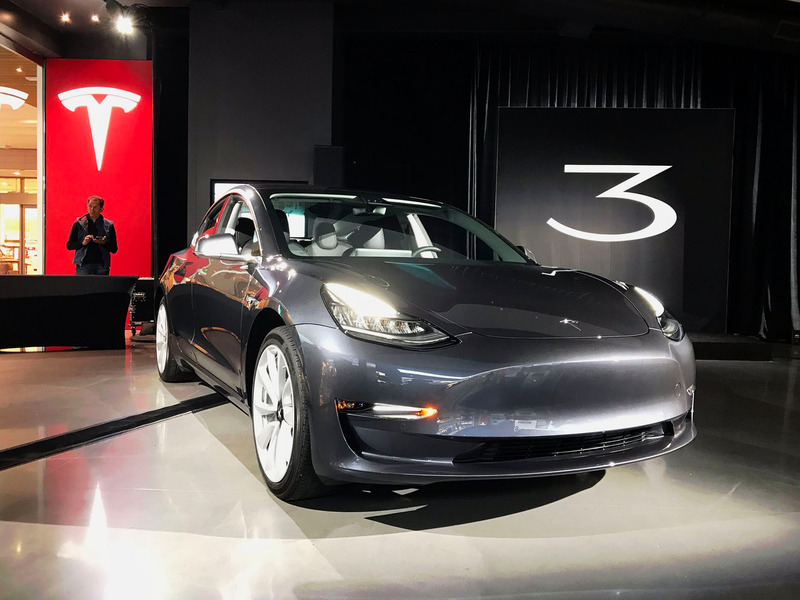 On Wednesday, Tesla announced that it delivered a grand total 1,542 Model 3s to customers during the final three months of 2017. As the Silicon Valley EV maker ramps up production of its first mass-market offering, it’s abundantly aware of the production difficulties awaiting the company. According to Tesla, it’s aiming for an ambitious goal of producing 2,500 Model 3s per week by the end of Q1 2018. That’s down from the goal of 5,000 cars per week for same period it announced last November. This is nothing new for Tesla. The production and delivery of cars have always been the weakest link in Elon Musk’s automotive empire. Missing delivery and production goals were also commonplace during the early days of the Model S and the Model X. But over a period of several years, Tesla has gotten a grip on the difficulties of producing the pricer S and X. In 2017, Tesla delivered 101,417 of its two flagship models, beating company projections by more than 1,000 cars. So there’s hope that Tesla will be able to one day hit its lofty Model 3 production goals. But don’t hold your breath, it could take a while.